Zemana AntiMalware is an on demand top malware scanner designed to clean your PC from all the infections that have taken place on your PC. Its unique cloud capability scanning technology will remove all types of malware infections, viruses, trojans, worms, rootkits, bootkits, unwanted apps, browsers add ons, adware and even those annoying toolbars! There is no scan or removal limit! 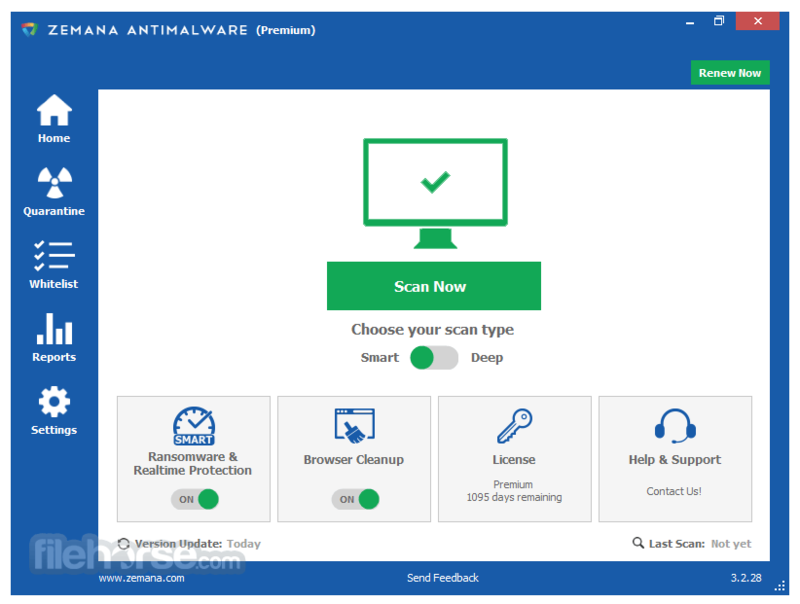 You can use Zemana AntiMalware to scan for known and new malware on your PC whenever you want and for how-many times you want. If this software detects malware on your PC, you can remove them freely. If you would like to have your AntiMalware real time protection and automatic scan scheduled you can use Zemana AntiMalware Premium, which also provides you with all around protection against zero-day malware specifically targetting infamous rootkits and bootkits. If you are a Free or Preemium user, not to worry, you are still safe and protected, malware free and not giving the hackers a chance! All you have to do is to launch Anti Malware, sit back, relax and let Zemana scanner do its magic! No PC slowdown, fast optimized scanning of your PC. Build your defense system against ransomware with the software. Rapidly neutralizes viruses, trojans, worms spyware and adware. Works with existing security software without conflict. Try Zemana AntiMalware Latest Version for Windows today. It is available in more than 30 different worldwide languages.